After a week off, Masahiro Sakurai published his latest column in Famitsu this week. His piece was again dedicated entirely to Super Smash Bros. Ultimate, and this one was particularly interesting. 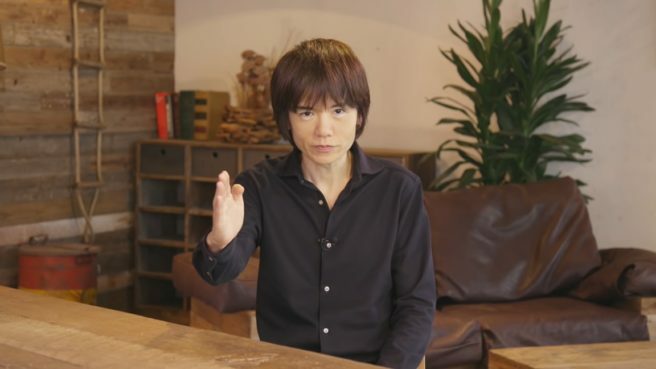 Sakurai managed to receive permission from Nintendo in sharing some data about online play in Smash Bros. Ultimate. His column was only in reference to a specific week, but he went over victory rates, character usage, and more. In playing a fighting game like Smash Bros., no matter what, how strong each character is in relation to each other is something people are going to pay attention to. I can glean quite a bit from the data that I’ve gathered from records of Ultimate‘s online mode. Fundamentally, this is the kind of thing we’d keep under wraps, but this time Nintendo gave me permission to publish it here. I can’t show any kind of tangible ranking of all of the characters or anything like that, but it’s possible for us to take a peek into the global records. It hasn’t exactly been too long since the game’s release, and the following data only refers to the week of December 30th, 2018 to January 5th, which is the most recent week as of when this was written. Elite Smash is for players who have achieved a high enough GSP through fighting online; that being said, it’s a record of particularly skilled players. So, in a way, the data will be limited by the players’ skill. Even taking into account 1-on-1 matches outside of Elite Smash, every fighter has a win rate of somewhere between 40 and 54%, and those with a 45%-win rate comprise 90% of the total fighters. These records are unique in that they’re completely free of bias; from time to time you may see a player-created estimation of each character’s strength, but in reality, those differ pretty greatly from our records. There are characters that tend to be given a lower rank in the grand scheme of things, but truth be told, they sometimes end up coming close to surpassing even the highest ranked characters. This was also the case in previous entries in the series. Ultimately, I wonder if it’s the people who don’t play by the book and can come up with countermeasures to what they face that end up being strong – and thus end up winning. Something that ended up being a little troubling to me were fighters like King K. Rool. According to a survey on Dwango’s Niconico, the consensus seemed to be that King K. Rool was a strong character – that ended up not being the case. Overall his victory rate was 51.9%, and in Elite Smash it was 48.9%. The general consensus seems to be that King K. Rool is strong, but I imagine that there are also people that think “no fair!” when they lose to him. Looking at our records, though, I don’t really see any need to adjust him. Though, I think there’ll still be people that’ll continue to be stressed out about fighting him if I don’t mess with him any – so I think I’ll wait to hear what the adjustment team has to say. There was also a big difference in terms of character usage – the difference between the minimum and maximum was about 20-fold. Overall, the most used character was Cloud, but in terms of Elite Smash it was Ganondorf, whose Elite Smash win-rate was only around 47.9%, which is on the lower end of the rankings. By the by. Among all the fighters and those of them that have echoes, Peach and Daisy are the most similar. That being said, you’d think that the results for the two characters would mostly be the same… In Elite Smash, though, Peach has a win rate of 54.4% and Daisy has one of 50.9% – how did that even happen!? In terms of usage, though, they’re roughly the same. That means the difference must come from some kind of calculation error – that’s why making adjustments is such a chore. In looking at the overall data, though, I think it’s fair to say that no fighter is too overpowered or underpowered – it’s up to the player’s skill. There are also trends in terms of techniques, but even then, you have to consider calculation errors and compatibility with those strategies. I don’t want to shake things up by trying to balance things – so I think I’d like to take a careful look at things as they are.